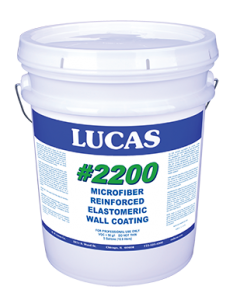 Water-based elastomeric coating for sealing and restoring concrete and masonry walls. Microfiber reinforced for improved crack bridging and hole filling capability. Ideal for porous smooth and split-face cement block walls.